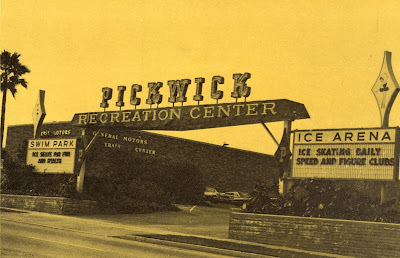 Since it's long been a fixture in Burbank and the San Fernando Valley, the Pickwick Center is part of the personal histories of Valley residents. 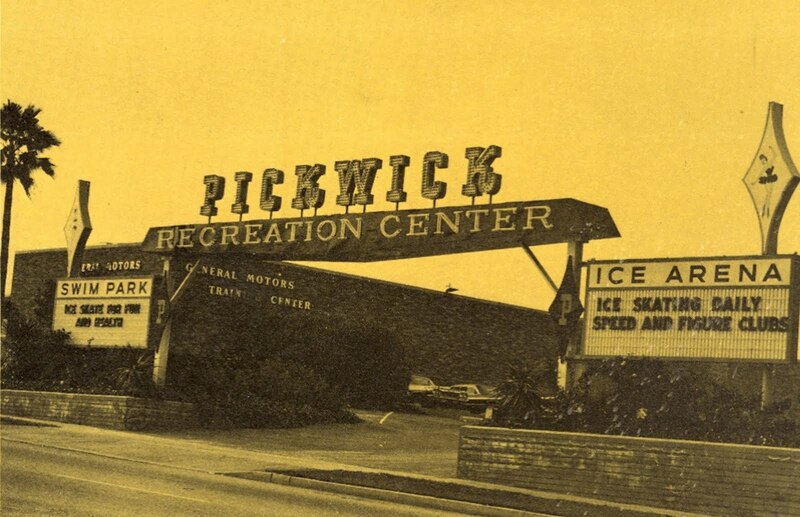 Here's a 1960s photograph of the Pickwick. I understand the ice skating and swimming features, but what do you suppose went on the General Motors Training Center? But behind it on Alemeda. was the Pickwick Drive-in.